by Dr. Sandy Woodrow Yancy, Sr. 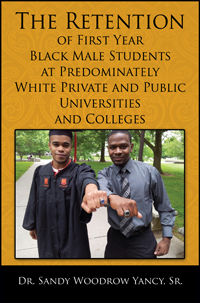 This book provides evidence that the retention of first year black male students can be achieved based on the experiences of six students at a predominately white private university. This book explores recommendations for High school counselors and Universities administrators to consider for the education of black men in the United States. Would you like your book featured here?